Ballantine's, the popular Scotch whiskey brand, is currently running a premium campaign by offering a high-end gift with purchase (GWP). 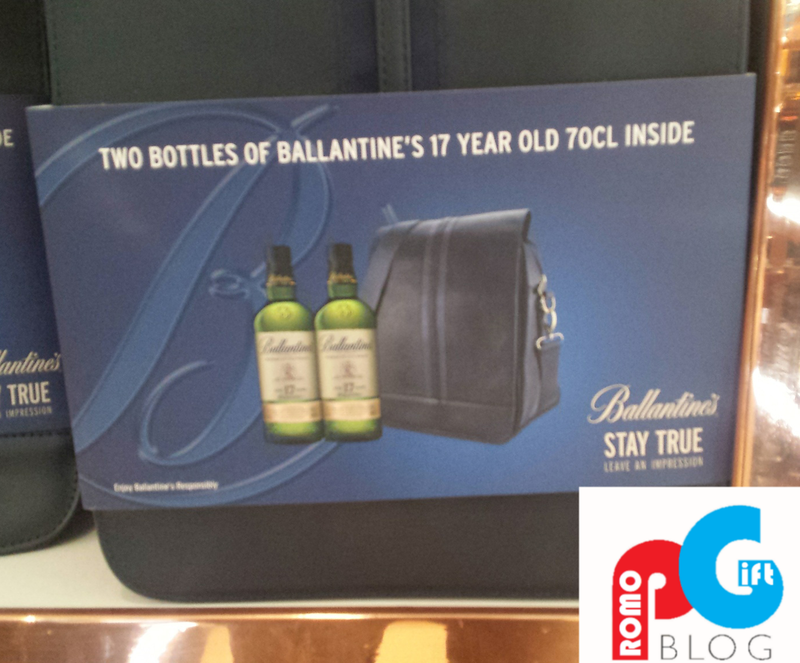 When purchasing two bottles of 17 year old Ballantine's whiskey, you get a free carry bag, as can be seen below. The promotional bag can be used to conveniently carry the two bottles of whiskey it comes with. This convenience will most definitely add extra incentive for consumers to purchase this brand, over competing whiskeys. The high-end style of the bag will also make consumers feel like a valued customer, which makes them more likely to purchase from your range again in the future. The perceived value of the bags, combined with the two bottles of 17 year old whiskey, can allow you to justifiably charge more for your product, than competitors. As bags are often used in public, the large branding area on the bag can be utilized in order to raise brand awareness, and ultimately increase the sales of your products. Many customizations come along with promotional bags, such as the color, material, design, size, branding and use - the possibilities are endless. The large size combined with the high-end look of the bag will certainly make it stand out on the shelves. This will increase the number of impulse purchases from consumers, who will purchase your products rather than your competitors.